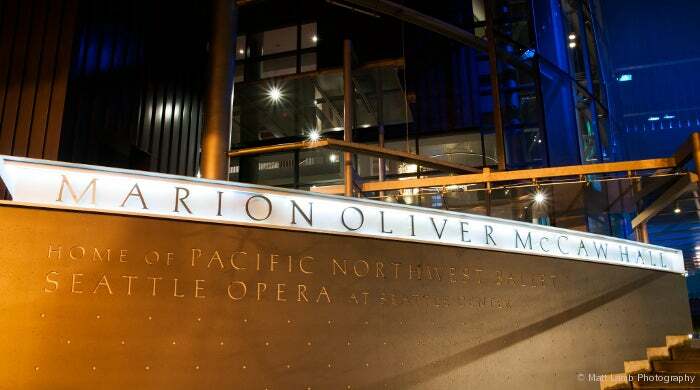 Marion Oliver McCaw Hall at Seattle Center is the region’s premier performance venue. McCaw Hall opened in June 2003 as a $127 million renovation of the Seattle Opera House, made possible by a partnership between the Hall’s two world-class resident performing arts tenants, Pacific Northwest Ballet and Seattle Opera, along with Seattle Center and the Seattle Center Foundation. This partnership secured $55 million in public funds and over $72 million in private philanthropic gifts to make the Hall a reality. The Hall is owned by the City of Seattle and operated by Seattle Center, in accordance with a unique 25-year Operating Agreement with its resident tenants, which provides them with on-going oversight and shared responsibility for its operations and budget. 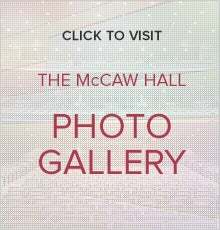 McCaw Hall encompasses the state-of-the-art 2,900-seat Susan Brotman Auditorium, the 380-seat Nesholm Family Lecture Hall, Prelude Café, elegant lobbies fronted by a luminous five-story serpentine glass wall, two beautiful donor/special function rooms, and a 17,800-square-foot public plaza (the Kreielsheimer Promenade) that serves as an entry into McCaw Hall and the Seattle Center campus. Designed by local architectural firm LMN, the Hall’s design emphasizes elegance balanced with flexibility and functionality. Its open, airy lobbies strive to minimize the separation between exterior and interior, inviting the community to view and join the anticipation of audiences prior to a performance. As well, the Hall incorporates a number of environmentally sustainable design features which minimize its use of resources, waste generation and carbon footprint. 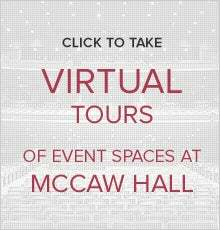 Each year the Ballet and Opera present approximately 150 performances in McCaw Hall. 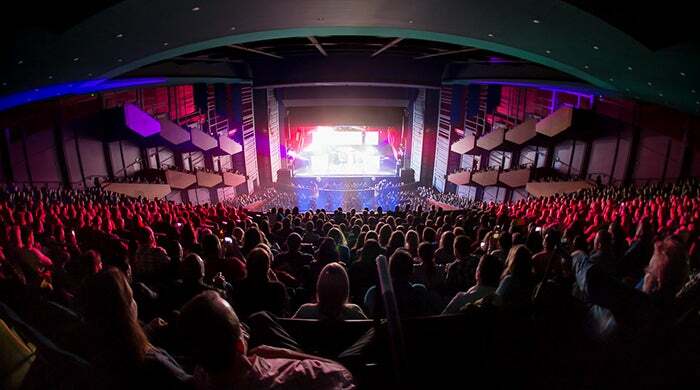 In addition, the Hall hosts a wide range of popular music concerts, lectures, corporate meetings, receptions, weddings, festival performances, community, and non-profit events. and as a place where the attention to clients and patrons compels all to return. capitalizing on the Hall’s assets to secure a diverse range of events that maximize its use, community service and revenue.